10. Bednja (133 km in total, in Croatia 133 km). 1. 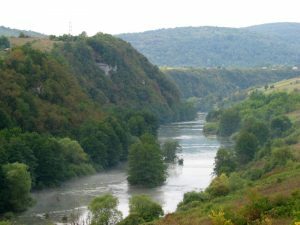 Dunav is the second largest river in Europe with it’s spring in Schwarzwald and going in to the Black see. 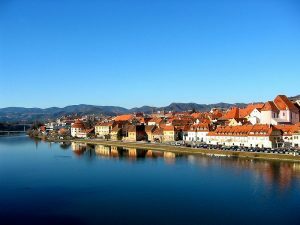 Beside Croatia its connecting seven more countries making it one of the main river waterways in Europe. 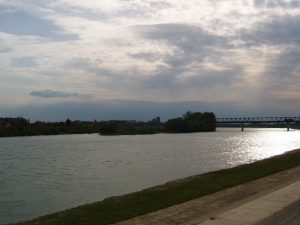 The main Croatian seaport on the Danube is Vukovar. 2. 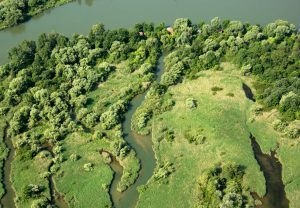 Sava is the most significant and longest Croatian river (to the total length of watercourses in Croatia). 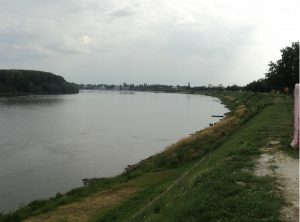 It is characterized by rain or pluvial regimes, and because of the great flow of almost 2000 km3/s is suitable for navigation from Sisak downstream. 3. Drava from its springs in the Italian Dolomites connects Austria, Slovenia, Croatia and Hungary. Because of its richness with water it’s used for supplying the power system from several hydroelectric power plants. It is suitable for navigation from Donji Miholjac and the main port is Osjek. 4. Mura is a river that flows through Austria, Slovenia, Croatia and Hungary. It springs in Austria (Hohe Tauern), then it runs through Slovenia and eventually makes the border between Croatia and Hungary. It flows into Drava and it’s its biggest affluent. 5. 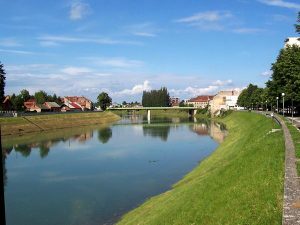 Kupa is a river whose source and end is in Croatia, and part of its flow makes the state border between Croatia and Slovenia. 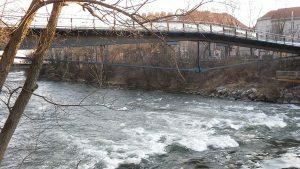 The area along the river Kupa is called Pokuplje. 6. Neretva is a 230 km long river, which mostly flows through Bosnia and Herzegovina (208 km) and, to a lesser extent, before the Adriatic Sea, through Croatia (22 km). 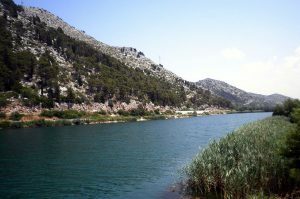 It springs in the mountainous regions of high Herzegovina, under the mountain of Jabuka (branch of Zelengora). 7. 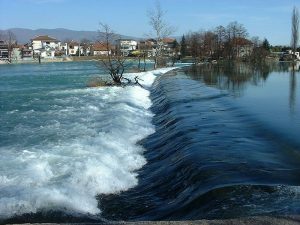 Una is a river in the north-western part of Bosnia and Herzegovina, which in the small part makes the western border of BiH and Croatia. Una springs in the village of Donja Suvaja below the mountain Stražbenica. 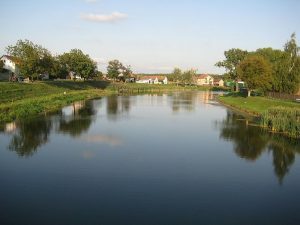 It flows into the river Sava near Jasenovac. 8. Bosut is made of two streams between Štitara i Županjija. It doesn’t have a real spring, it flows towards Gradište were it receives water from Berava, and runs slowly to Cerna. 9. Korana springs near the Plitvice lakes and flows into the river Kupa near Karlovac. In many parts of the Korana, it passes through the picturesque canyons a hundred feet high. These canyons are covered with beech forests or are bare. 10. Bednja is a river in the northern part of the country. It’s also a village and municipality in Varaždin County.